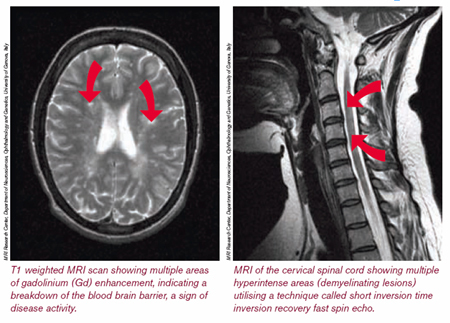 Multiple sclerosis (MS) is one of the most common diseases of the central nervous system – the brain and spinal cord – affecting about one person in every thousand in the USA. It is an inflammatory condition, where the immune system attacks the myelin sheath that surrounds the axons of nerve cells. Myelin is a fatty material that insulates nerves, acting much like the covering of an electric wire and allowing the nerve to transmit its impulses rapidly. It is the speed and efficiency with which these impulses are conducted that permits smooth, rapid and co-ordinated movements to be performed with little conscious effort. Loss of myelin interrupts these impulses, and the nerve cells themselves are also damaged and eventually die. Until about 20 years ago there were no treatments available that could prevent relapses or slow the progression of MS – known as disease modifying treatments – but thanks to the efforts of scientists working around the word this situation has begun to change. A number of effective disease modifying treatments are now available, the most recent to receive FDA approval is Fingolimod (known as FTY720 during its development), a drug whose immunosuppressant properties in reducing transplant rejection and as a treatment for MS were evaluated in a range of animal models during its development. These drugs may soon be joined by another. A couple of years ago I wrote about the crucial role of studies in mice, rats, and dogs in the development of a new disease modifying treatment called Laquinimod, which safely -though relatively modestly conpared to other new therapies – reduced the number of relapses, while slowing progression of disability more that current disease modifying drugs in a Phase III clinical trial. This is good news, and one more step towards turning MS form being an incurable disease to being a manageable disease. 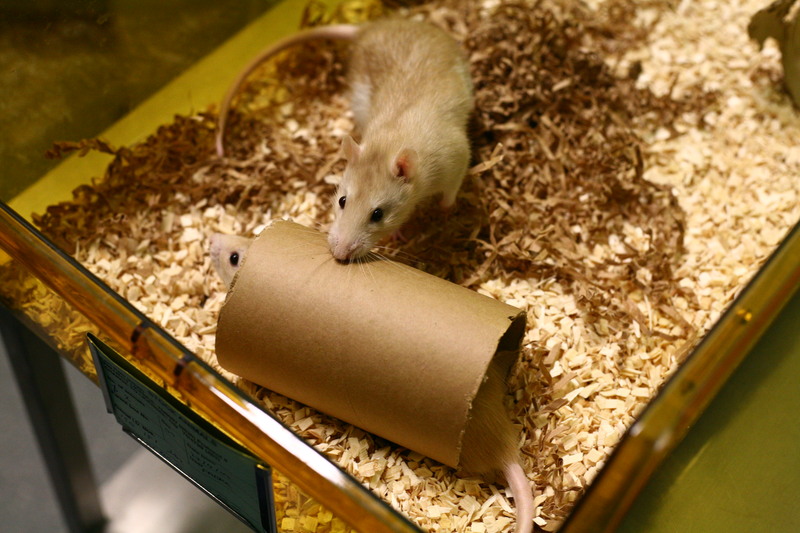 Rats are crucial to many areas of MS research. Image courtesy of Understanding Animal Research.